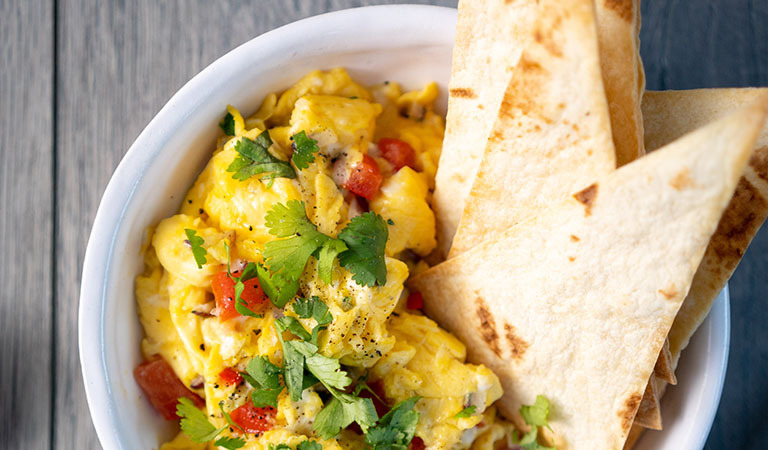 Huevos rancheros is a Mexican inspired breakfast dish that is lean, light and packed with protein. Great for breakfast or lunch it is easy and cheap to prepare – the perfect choice if you’re short on time. Rachel has prepared some other exciting recipes exclusively for Herbalife Nutrition. 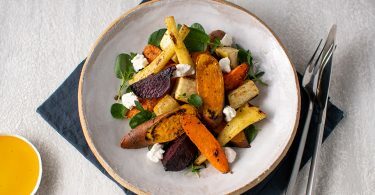 Some of these include: Bulgar Wheat Salad, Homemade Nut Butter, Asian-Spiced Sticky Pork Salad, Carrot Apple and Cucumber Salad, Courgette, Mint and Goat’s Cheese Frittata, Brown Soda Scones with Seeds and Formula 1 Banana Pancakes. Prepare your tomato, onion, chilli and coriander. Set aside. In a bowl, whisk together the three eggs with the milk and season. Melt the butter in a saucepan, add the eggs and cook on a gentle heat for 3 to 5 minutes, using a wooden spoon to scrape the cooked egg from the bottom of the saucepan as it cooks. Just before it is ready stir in the other ingredients. The secret is to warm these ingredients through but not cook then. You need to hold on to the fresh raw flavours. 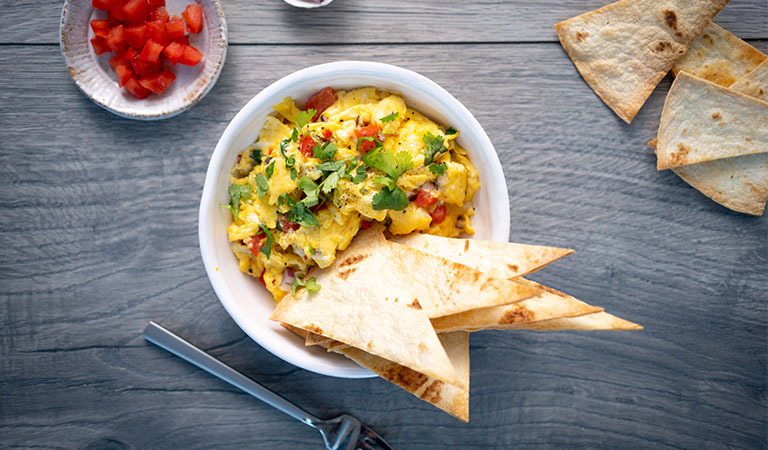 Serve immediately with some fried tortilla wedges or delicious toast.